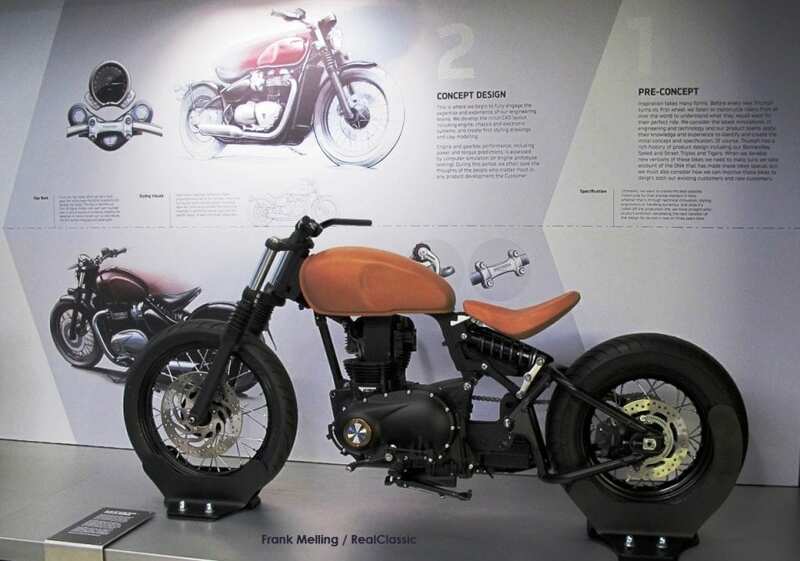 First, there is what is usually called ‘Meriden’ Triumph – the old Triumph company whose final location was the Meriden site just outside Coventry. Ancient bikers revere the Meriden history and some remarkable things were done there. As a student, I had the huge privilege of riding a works Triumph and got to know the legendary Doug Hele well so the heritage is embedded in my motorcycling DNA. But by 1975 the factory was in a mess. In fact, the trouble was terminal well before the final demise. It doesn’t matter how much historical gloss is put on the situation, Triumph was effectively dead in the water by start of the 1970s and just lurched along in its death throes until the final closure in 1983. This is why the enigmatic John Bloor’s rescue of the marque is all the more remarkable. Legend has it that Mr Bloor, whose main business is property development, came along to buy the Meriden site for his building business – and for some inexplicable reason decided to resurrect the iconic brand. It is difficult to over-state the magnitude of his achievement. One can add any number of adjectives and they will all be true: remarkable, amazing, genius and many more. But at the end of the story is Triumph’s utterly remarkable success thanks to Bloor’s tenacity – and a seriously large financial investment. 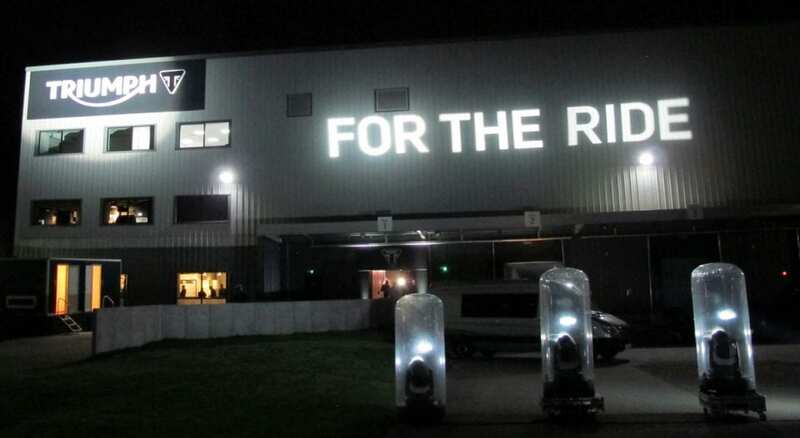 That’s why it was nice for this extremely publicity averse man to come on stage for a few seconds to open the new ‘factory visitor experience’, and the cheers he received from the audience were well deserved. Mr Bloor moved Triumph production to a new factory in Hinckley, a mere 25 miles from the old Meriden works, and began work with fifty employees producing an average of five bikes a day. The hallmark of Hinckley’s bikes was their honesty. Triumph might not have always made the best bikes in their class but customers always got fair value for money. The bikes were well made, well finished and reliable. The word soon got out that you could trust a modern Triumph to give you genuine value and this, more than anything else, was the core truth on which the brand’s success was to be built. 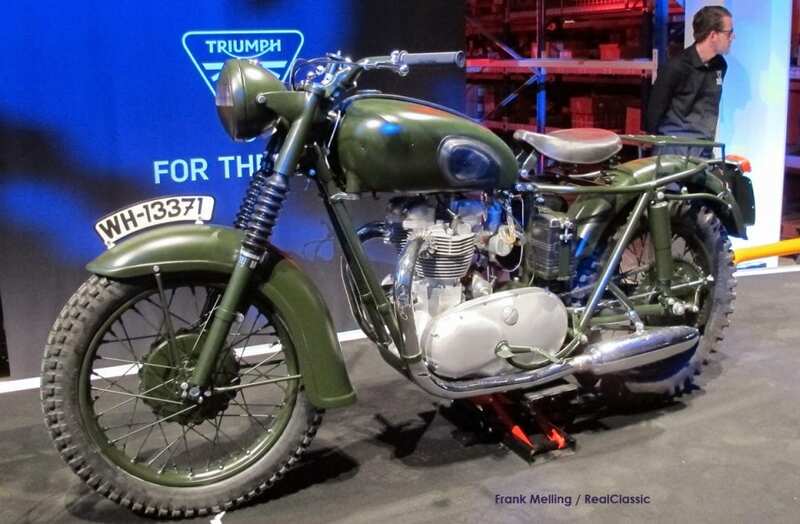 Now, Triumph production is heading towards 70,000 units a year and, in a time when other manufacturers are suffering badly, the British brand is thriving. It’s this ever-growing self-confidence which has inspired Triumph to open the visitor centre. If you are expecting a museum of everything Triumph, new and old, you’ll be disappointed. There were a few moans from the ancients that this or that important Triumph was missing from the exhibits but they are unjustified. To the owner of a Hinckley Triumph there are ample examples of older Triumphs which show the company’s heritage: this is all that is needed. 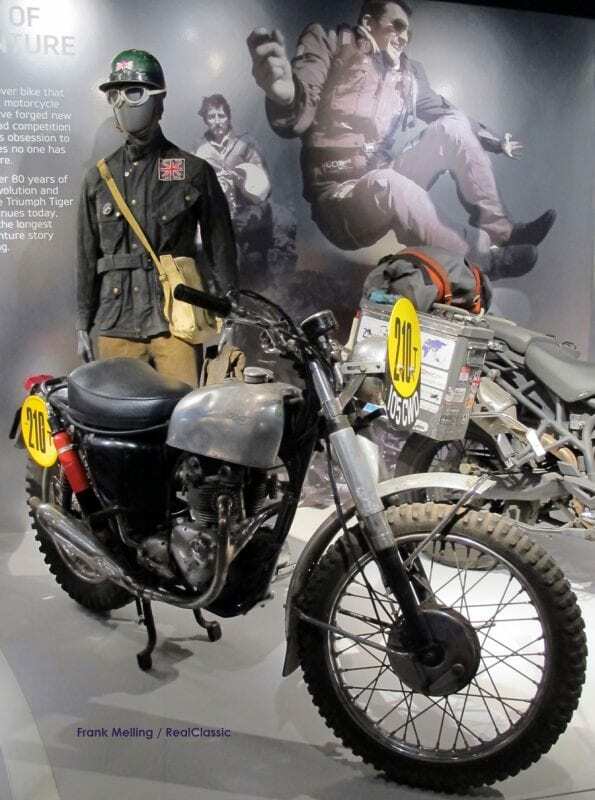 There is also recognition of some of the great figures from Triumph’s history including my all-time hero, Doug Hele. My only dispute is the lauding of Edward Turner, the autocratic boss of Triumph during the golden days of the 1950s and 1960s who, in my opinion, was responsible for many of the Meriden Triumph’s problems. 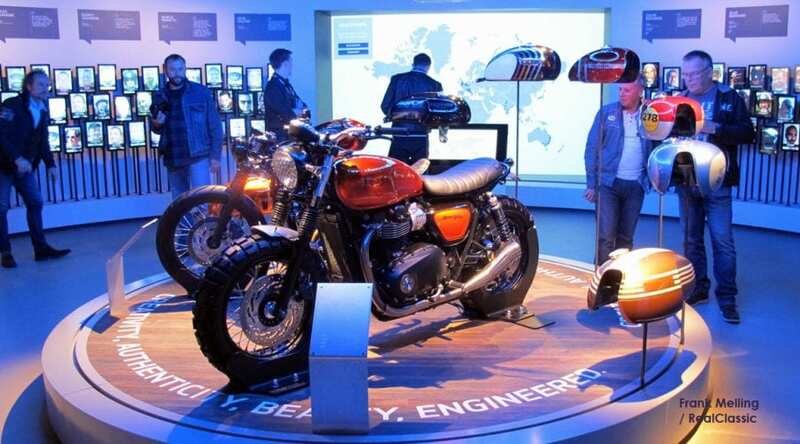 The ground floor features a quick tour of Triumph’s heritage through a range of bikes produced over the last 100 years. 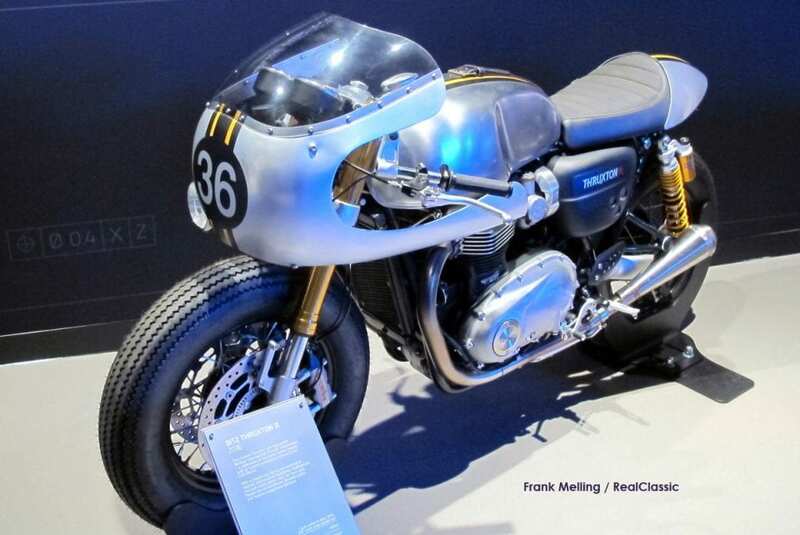 For me, the highlight was Johnny Allen’s ‘Texas Ceegar’ which tore down the Bonneville salt flats at 214.4mph and gave Triumph the iconic Bonneville name. 214mph is not much faster than a current superbike can manage but it was an unimaginably courageous thing to climb into a home built streamliner and set off into completely unknown territory without the benefit of modern tyres or safety equipment. This was the age of heroes – and Allen was one of them. 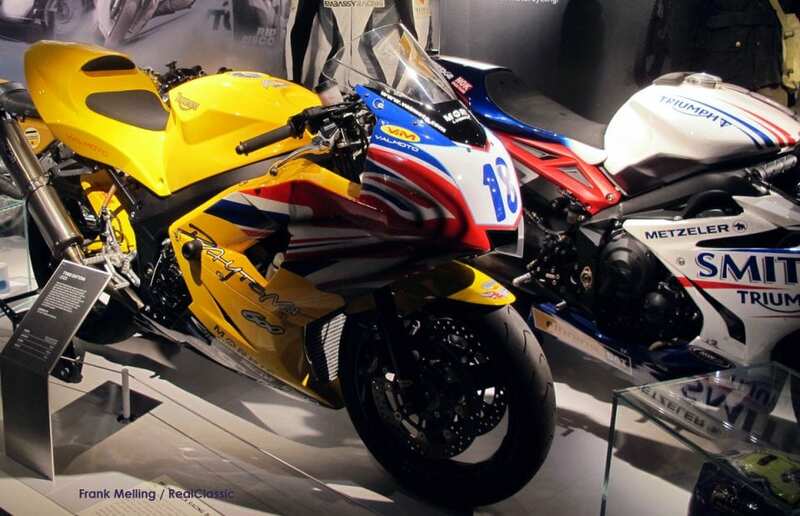 I was a bit more than emotional looking at the Triumph triple racer on display. These are the bikes which were woven into my very early manhood and had incredible performance from such simple engines. 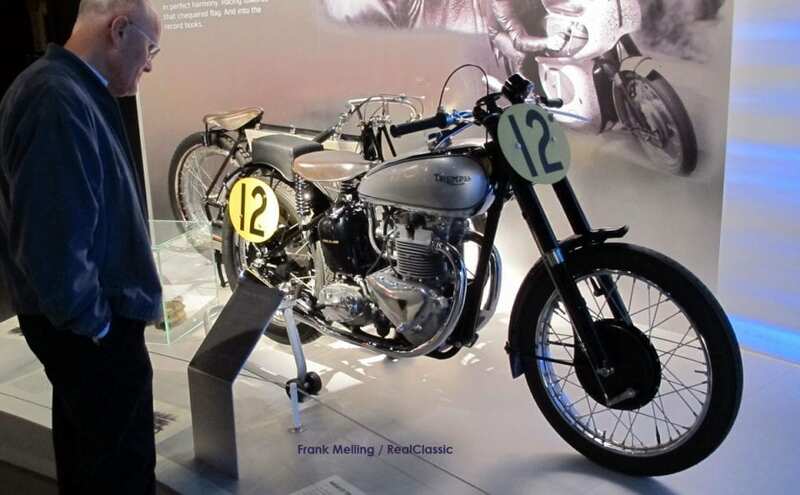 That they were so successful was due entirely to the brilliance of Doug Hele, in my opinion the greatest development engineer in the motorcycling world, who teased and coaxed and loved these motorcycles into greatness. On the first floor of the centre, there are modern Triumphs. 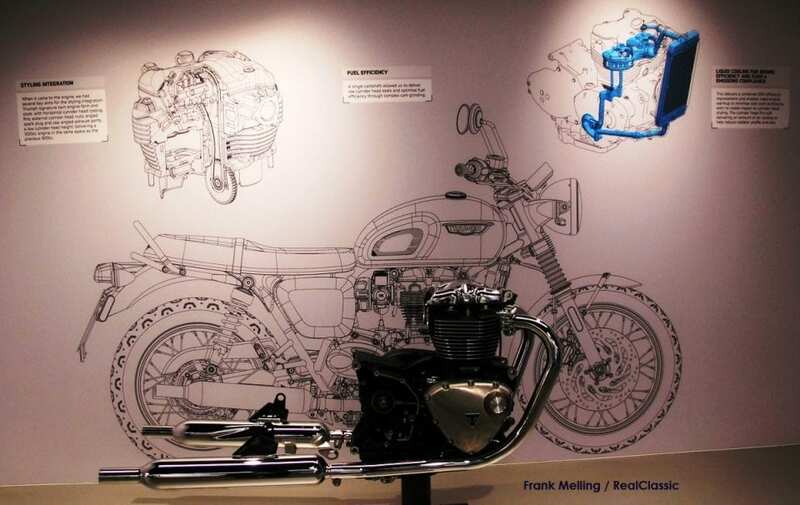 Best of all, visitors can see the development which a new model goes through from initial sketches to the finished motorcycle. Triumph makes much of the fact that you will be able to see the ‘secret’ processes behind making a bike – but you won’t. There is no factory in the world more tight-lipped than Triumph but nevertheless it is an interesting experience to see the prototypes and early tooling. Finally, there is a memorabilia shop which, in view of the free entry to the visitor centre, ought to be compulsory to visit. There is lots of Triumph branded gear on sale including pre-worn out leather jackets – and I really do struggle to understand this concept. The T-shirts are nice though and, as I have noted, it will be bad mannered to enjoy the tour and not buy something! 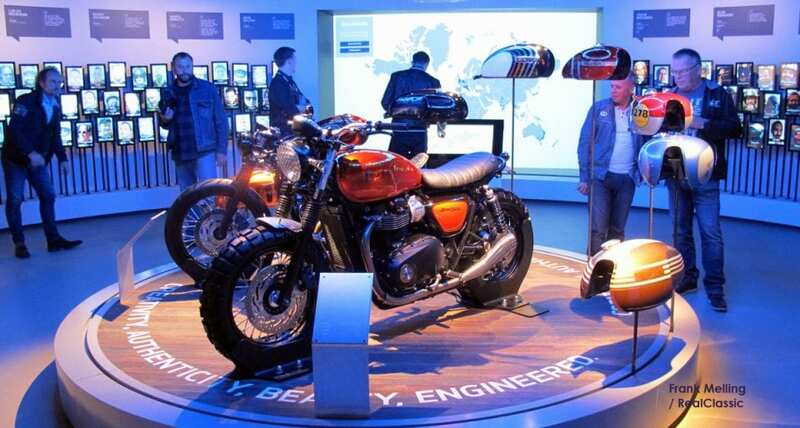 Entry to the Triumph Factory Visitor Experience is free of charge and the centre is located within the grounds of the Hinckley factory in Leicestershire.